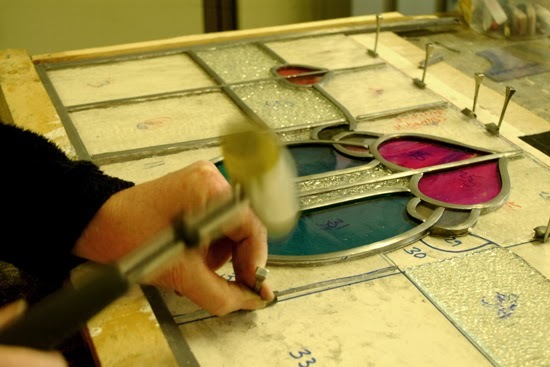 Leading up a stained glass panel. Stained Glass Classes run throughout the year. Weekend Classes run on the last weekend of each month. Vouchers/gift tokens can be purchased and redeemed at any of the classes held throughout the year.